With the rise in swim watches that use accelerometer devices that can count strokes, detect how many lengths of the pool we’ve swum and keep track of our pace and time for every lap and repeat, triathletes and swimmers are now asking questions about what they can do with the information obtained. The two most popular sites that currently track and report this type of data are teh sites of the watch makers themselves, Garmin and SwimSense. Training peaks also can import this data but as of this writing they lack a robust reporting feature. The most easily obtainable and somewhat interesting metric reported is the SWOLF score. SWOLF is an abbreviation for “Swim Golf” , and is a score obtained by adding together your strokes per length, and the time for the length. e.g. 25 yards swim at 30 seconds in 20 strokes is a SWOLF score of 50. And here is a similar example from Finis, the makers of the Swim Sense. So this begs the question…what can SWOLF tell us ? It’s been suggested in the past by many coaches that SWOLF is a measure of efficiency…that a lower SWOLF score is a more efficient stroke and we should strive to get SWOLF as low as we can. However that line if analysis is misleading for two reasons. In the rest of this article I’m going to discuss these two reasons and at the end suggest a better way to use SWOLF…and possibly better ways to use your free time out of the pool. The first reason that the SWOLF score is not a very good measure of efficiency…if it can be considered a measure at all, is that efficiency is relationship between the amount of work energy that goes into an activity relative to the work output, or forward movement achieved. For example, if we could measure how much oxygen a swimmer was consuming while swimming in a flume at a specific speed, then we could measure his or her efficiency. External measuring tools of oxygen consumption are needed. So while we can’t get an actual efficiency number from a swim watch, what we can do is incorporate certain clues that may tell us something about the efficiency of the stroke. But more interesting is the second reason that SWOLF can’t tell us much about the efficiency. Even though SWOLF is derived by adding two parameters together…namely Strokes per length (SPL) and the time in seconds for the length, we still need to know both the SPL and the TIME independently to make any sense of the SWOLF number. Here are four hypothetical scenarios which I describe in a bit more detail after each one. If if SPL * rate = time, then we are curious about what SPL + time or SWOLF can tell us? C) suggests very low stroke rate with lots of glide…little energy being put in compared for forward movement. Physiologically speaking a very efficient stroke (SWOLF may be the same is in scenario B). Scenario C swimmers should strive to increase their SWOLF, more specifically by increasing their tempo as they already have a very efficient stroke. D) The ability to swim quickly and hold a low SPL requires high power, high strength swimming, and can be seen in Jai’s 2nd video here: SWOLF will be low but true efficiency is low. However if this is a race, fastest time, not highest efficiency wins. Scenario D swimmers are very skilled, fast powerful swimmers, and can pick and choose the stroke suited for their task. The slower length is actually the more efficient stroke considering the amount of effort compared to the forward movement. it takes Jai more energy to swim the faster length. Even without having the external measuring tools to determine true efficiency, it should not be difficult to believe that Jai could sustain the first length’s effort for quite a long time…the second length for possibly 100m or less. A graph would be interesting here… plotting combinations of Speed vs. SWOLF at different SPLS/rates and seeing if there actually is a relationship we can glean that would be useful as a self-coaching tool. My guess is that there is not…we still need to know each metric…at least two out of the three (SPL, Time or Speed) in order to analyze data and know how use it to improve our swimming practices. I find SWOLF most as a quick measure of consistency, rather than a measure of efficiency. When i look at my athletes watch data, the SWOLF graph can reveal if they are swimming with too much rest or too easily. Or conversely if they are improving their ability to be consistent with a given set (eg. 10 x 100 as an example). Pace alone doesn’t tell us, SPL alone doesn’t tell us, but SWOLF alone does not tell us either. e.g. if I see a set of 10 x 100 with a SWOLF that does into change AND an SPL that does not change, they are swimming consistently which is good. I still need either pace or SPL along with SWOLF to learn anything about their swimming, it doesn’t stand alone. If I want them to swim faster and get fitter as a triathlete (my main market). SO I can reduce the rest, increase the repeat distance, increase the pace (which is possibly going to change the SWOLF ). Hopefully that gives you more insight as to what some of the metrics mean and what you can do with the information. I still find that practicing SPL ranges at will, finding your SPL, changing your SPL and holding your chosen SPL, layered with the use of the tempo trainer (steady, ascending, descending, etc) gives the coach and athlete much more control and direction than SWOLF had the possibility to do. IN a follow up article I will use some specific watch data graphs to help walk through an analysis of a swim set’s execution and plan further practice sets for improved skill. Please let me know in the comments section what your thoughts are and how you use the watch data you collect. What I understand is : You seem to define efficiency by dividing the effort (energy spent) by the distance covered. Of course he could sustain this pace for a long time, it’s slow. What if you combine heart rate data from a swim HRM with the SPL and Time? Do you mean combine it as in add it in? At least one other coach has written about al “alternative swim golf” adding in HR. I don’t think it’s as useful as SPL & time because there’s little reason to think that a heart beat and a stroke are equivalent or temporally related as a stroke and a second are much more tightly correlated. However, being observant of your HR at various speeds and efforts is a good metric to track over time. 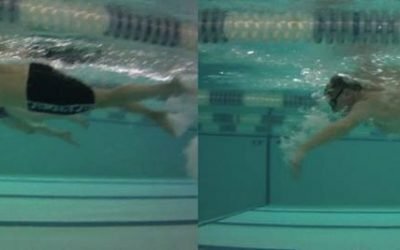 Swimming the same speed at a lower HR indicates improved efficiency, and can be done within a single session by searcing for ways to swim easier, adjusting technique or focus. I agree with you Dimitri. 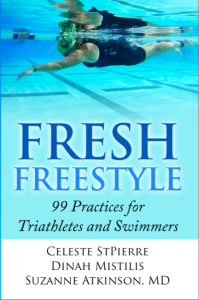 We can go back and discuss what we understand by “efficiency” in swimming. The way I see it a very efficient swimmer will swim a given distance with the lowest SPL in the shortest time possible. total metabolic energy cost. Work is defined as force that creates displacement, or travel. In the case of swimming that displacement needs to be in the direction we want to travel. Lowest SPL and shortest time both increase the workload which can actually reduce the efficiency, even if it results in a faster speed. Good job, you are understanding just the point that SWOLF threatens to obscure. And if a swimmer is going to use SWOLF, they should be aware that there will be different combinations that allow them to swim different distances at their own ability & fitness limits. Efficiency has a scientific definition however, I’m not making it up, and it is the ratio of work done (forward movement) to the energy used. So intuitively both lengths in the video cover the same distance, yet the faster one uses more energy, it is less efficient. Yet it also has a lower SWOLF score. For those not understanding what SWOLF is and isn’t measuring, this could be very misleading. As you suggest, a lower SWOLF is not necessarily better if your target distance is a 20k race any more than if you are training for a sprint. It’s incomplete information. Thanks for the comment and for prompting me to clarify. Thank you for covering this and for the great explanation….I only have 16 months of self-taught TI under my belt and got a 910XT for my recent birthday and the SWOLF was driving me nuts because it was getting higher even though I was feeling more efficient in the water…the stroke counter may not be perfect either as I am currently testing it’s accuracy. 1. The definition of efficiency you are talking about is not the correct one I think. It is true that scientifically we also can say that for example an engine is more efficient when it uses a single liter on 100km as opposed to 2.0 liters on 100km. We would say it’s twice as efficient. But under the covers something must have changed. Over time people will also gain a better physical condition. All of a sudden the same 225 kcal that you had to spend 5 months ago for a single length all of a sudden is giving you 1.5 lengths. Same energy but both better time and spl. It is your body that has changed to improve on the energy consumption. 2. SWOLF is EVER ONLY a PERSONAL number and to NEVER COMPARE other than to yourself under the same circumstances! 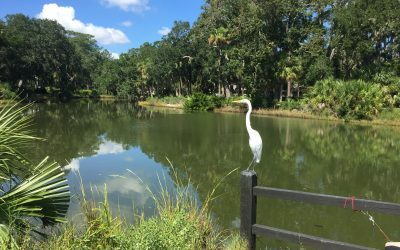 C. It cannot be compared to different size pools and especially open water. One person is never B and C at the same time. A person’s SWOLF on 50m front crawl will be different in a 25m and 50m pool. Probably not by much…. but it is not the same. I think still every individual should strive to reach ‘D’. If you are a ‘B’ swimmer you should work on maintaining your time but improve your number of strokes. Whatever you need to change to improve the quality. 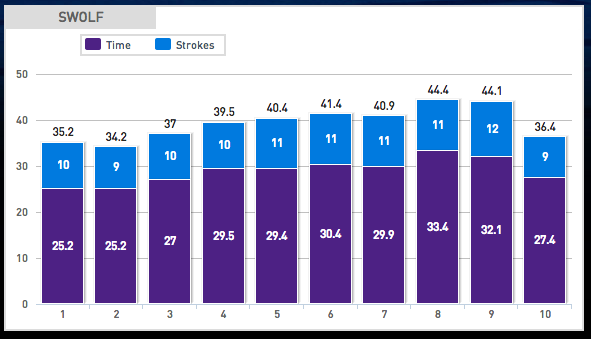 If you are a ‘C’ swimmer you should work on your on adding more power to the stroke but maintain the stroke quality. 2. I agree with your table a bit but there is a ‘hidden’ relationship in the formula. Higher stroke power implies lesser stroke count and frankly with a little bit of nicer stroke you spare energy! This brings us to the point where we could say (and agree): if we have 900 kcal to spend on a race it is important what race that is. Is that freestyle 400m in a 25 meter pool or is that 50m in a 50m pool. Without a doubt the SWOLF values for both these races will and should never be the same. I was wondering if adding (a part of) heartrate to the swolf wouldn’t be a better indicator for the efficiency. Heartrate is in my perspective a good indicator for the energy output. One could look at the evolution of the SWOLF at a given heartrate. Well I guess my point is that swolf is not really a measure of efficiency. Certainly adding HR or perceived effort is a good way to calibrate your efforts to make sure you are actually saving energy. I don’t think a direct comparision of swolf to HR is as helpful as simply comparing your pace or speed to HR as a measure of your energy use. Hi, have you made a mistake in your Scenario C when you say “Scenario C swimmers should strive to increase their SWOLF, more specifically by increasing their tempo as they already have a very efficient stroke.” ? Surely if a swimmer increases their tempo they will reduce their SWOLF, as shown in your video of Jai where he increases his tempo in length two and reduces his SWOLF from 47 to 34.